Don't be surprised to hear – and see –historic aircraft and exotic cars slowly descending on Erie International Airport/Tom Ridge Field throughout the day today. This weekend, another free, fun, family-friendly summer "festival" comes to Erie, but, surprisingly, it's based around neither music, nor ethnic cuisine. And given the popularity of the Pixar movies "Cars" and "Planes," you might just blow your kids' minds – without blowing all your cash. "Wings over Wheels: Celebrating Erie's Runway to the Future" is a fly-in and car show this Saturday and Sunday, beginning at 10 a.m. at Erie International Airport/Tom Ridge Field. 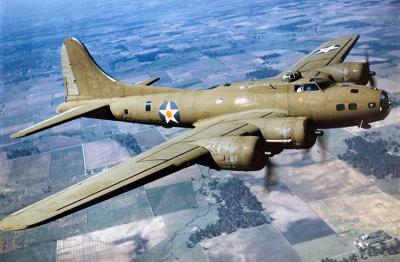 World War II-era warbirds like the C-47 "Skytrain," and the B-25 "Mitchell" will be on display, as will an SNJ-4 trainer, a PBY-5A seaplane, and a C123 "Thunderpig" transport. Also present will be a collection of classic cars. And if all this heavy machinery still isn't enough, LECOM's Kids Hangar will offer free fun activities, as well as appearances by your Erie Bayhawks, SeaWolves, and Otters. The real centerpiece of the entire event – aside from the 2 p.m. ribbon-cutting ceremony for the runway 6-24 extension on Sunday – is the "Yankee Lady," one of just 13 flyable B-17s in existence today. More than 12,000 B-17s were manufactured beginning in 1938; although many were lost during World War II, this workhorse dropped about one-third of all the American bombs that rained down on Germany and withstood mind-boggling amounts of punishment to deliver her crews home safely. If you've ever wondered what it would have been like for those crews, the Yankee Lady has a deal for you – for $425, you too can experience a rare glimpse into a bygone era of aviation history by taking a short flight around Erie's summer skies. Seats are filling up quickly, so if you're interested, don't wait to hear the faint drone of her 4 piston-driven engines approaching; click here to reserve your spot! For more information on "Wings over Wheels: Celebrating Erie's Runway to the Future," visit www.ErieAirShow.com.